Growing at a compound annual growth rate (CAGR) of 33 percent, the installed base will reach 483 million units in 2022. About 4.5 million of these devices were connected via cellular networks in 2018. 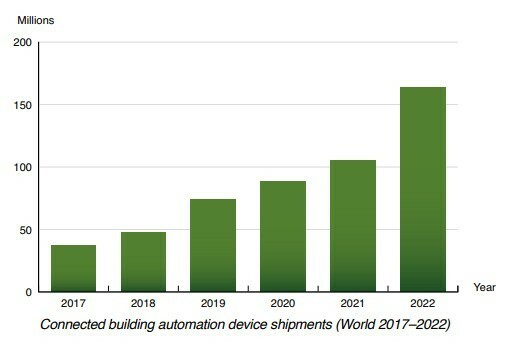 The number of cellular connections in the building automation market will grow at a CAGR of 44 percent to reach 19.4 million in 2022. This study from Berg Insight analyses the market for building automation in smart buildings along multiple verticals ranging from well-known ones such as heating, ventilation and air conditioning (HVAC), indoor lighting, fire & safety, access & security, to lesser known ones such as electric vehicle charging, irrigation systems and pool monitoring. Building automation has been around for many decades but there is a new urgency due to factors such as energy conservation as well as mandates for green construction. 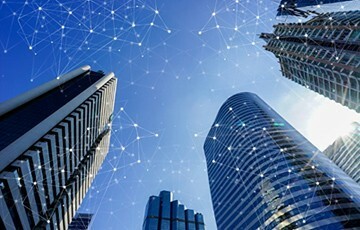 The latest smart building solutions leverage new technologies such as IoT, big data, cloud computing, data analytics, deep learning and artificial intelligence for the benefits of saving energy, reducing operational expenditures, increasing occupancy comfort, and meeting increasingly stringent global regulations and sustainability standards.